The Met web site says that the exhibition shows the "cresting wave that bridges realms of sculpture, architecture, and performance. 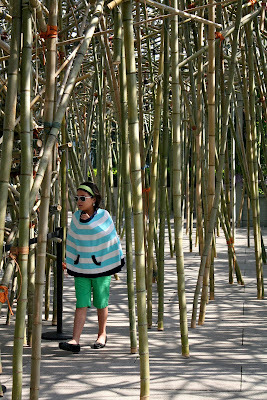 Set against Central Park and its urban backdrop, Big Bambú will suggest the complexity and energy of an ever-changing living organism". My fascination stems from the plant itself, this quickly renewable resource now used in flooring, table ware, and even fabrics. 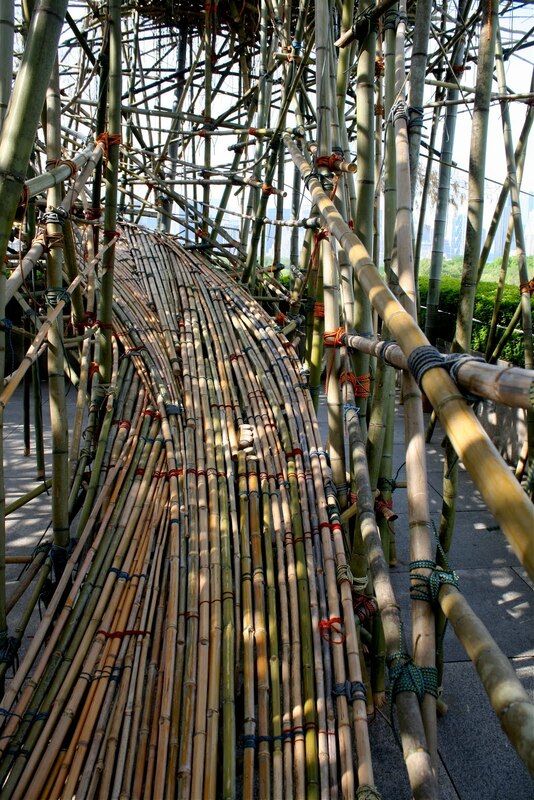 In China, scaffolding is made of bamboo because it's strong, cheap and readily available. 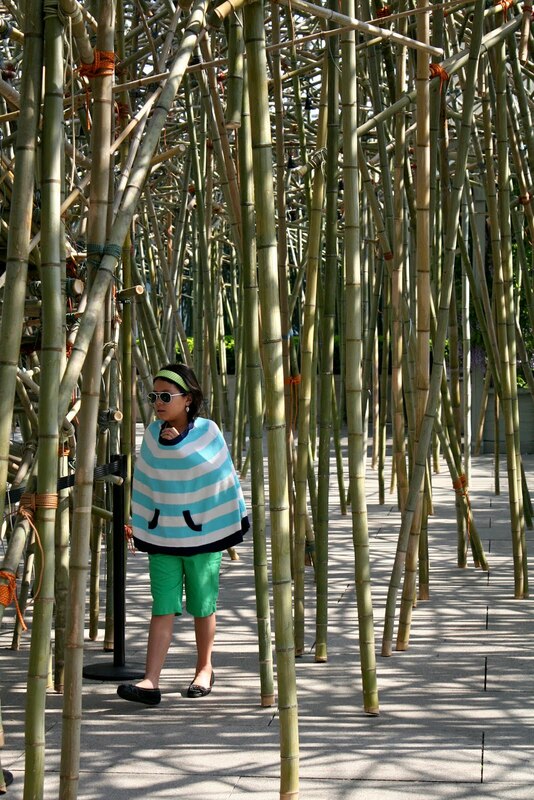 Bamboo is also colorful and beautiful and excellent as a living screen. I'm growing black bamboo in containers on my rooftop. Some clematis dropped in (apparently from seed blown from a neighboring container, and are now climbing up the culms. But more about that another day. Fascinating exhibit and gorgeous photographs. 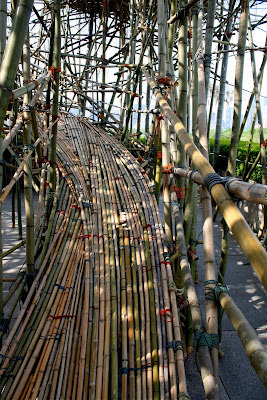 Reminds me of bamboo scaffolding in Hong Kong.